Can be used each time your Life Points decrase by 1500. In the Draw Phase, instead of doing a normal draw, draw a random DARK attribute monster. 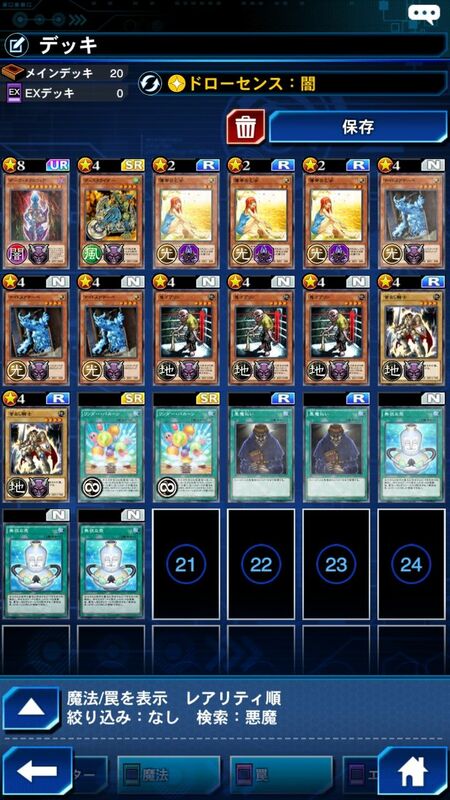 Fill this deck with Non-DARK Fiend-type monsters so that you can use Draw Sense: Dark to get Dark Necreofear when you really need to. Attack your opponent's monsters with The Unhappy Girl to lock them from attacking. And also to reduce you LP enough to use your skill. Discard all your Fiend-type monsters with Wonder Balloons. Special summon Dark Necrofear and then destroy her with Exile of the Wicked. Use Pot of Benevolnce to return both Dark Necrofear and Exile of the Wicked to your deck and repeat the combo.